Prince Albert is the third-largest city in Saskatchewan, Canada, after Saskatoon and Regina. It is situated near the centre of the province on the banks of the North Saskatchewan River. 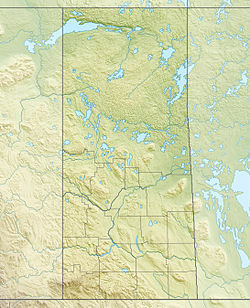 The city is known as the "Gateway to the North" because it is the last major centre along the route to the resources of northern Saskatchewan. Prince Albert National Park is located 51 km (32 mi) north of the city and contains a huge wealth of lakes, forest, and wildlife. The city itself is located in a transition zone between the aspen parkland and boreal forest biomes. Prince Albert is bordered by the Rural Municipality of Prince Albert No. 461 and the Rural Municipality of Buckland No. 491. The area was named kistahpinanihk by the Cree, which translates to sitting pretty place, "a great meeting place". or "meeting place"
Henry Kelsey passed through the area on his journey along the North Saskatchewan River in 1692, when he tried unsuccessfully to bring locals that he called "Neywatame" to the trading fort York Factory. The first trading post set up in the area was built in 1776 by Peter Pond. James Isbister, an Anglo-Métis employee of the Hudson's Bay Company, settled on the site of the current city in 1862. He farmed there until 1866, and had been joined by a number of families who called the site Isbister's Settlement. The community received a boost in 1866 when Reverend James Nisbet, a Canada Presbyterian Church minister arrived to establish a mission for the Cree. 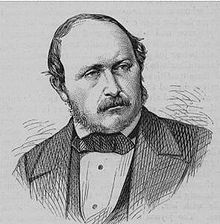 Nisbet named the mission after Albert, Prince Consort, husband of Queen Victoria, who had died in 1861, from which the present city derives its name. In 1879 the Presbyterian Church brought out Lucy Margaret Baker to run the local mission school. During the same year, the local Freemasons established the first lodge in what is now the province of Saskatchewan: Kinistino Lodge No. 1, which still exists. "The Mission", the settlement centrally located, and "Porter Town", located to the west, were the two communities that would come together to form what is now Prince Albert. The settlement east of Prince Albert was termed Goschen before finally amalgamated, however East Prince Albert still appears on a 1924 map. In 1884, Honore Jaxon and James Isbister were involved in the movement which brought Louis Riel back to Canada. Riel returned from the United States following a political exile resulting from the Red River Rebellion that had occurred in 1869–1870. Five hundred people gathered to hear Riel speak one month after his return. In the Northwest Rebellion of the 1885, Prince Albert Volunteers bore the heaviest casualties of the fighting at the Battle of Duck Lake. Surrounding settlers took refuge with the North-West Mounted Police in a hastily improvised stockade at Prince Albert, fearing an attack by Gabriel Dumont, which never came. After the Battle of Batoche, Major General Frederick Middleton marched to Prince Albert to relieve the town. Prince Albert, with a population of about 800 people, was incorporated as a town the same year under its first mayor, Thomas McKay. In 1904, the settlement was incorporated as the City of Prince Albert. Its government is of a council-mayor type. Prince Albert was the capital of the District of Saskatchewan, a regional administrative division of what then constituted the Northwest Territories. The District of Saskatchewan was formed on May 8, 1882, and named Prince Albert as its capital. This ended in 1905 when Saskatchewan became a province and Regina was designated the new provincial capital. Prince Albert was one of the rival candidates to house either the University of Saskatchewan or the Saskatchewan Federal Penitentiary. The university was built in Saskatoon and the penitentiary was built in Prince Albert in 1911. John Diefenbaker, 13th Prime Minister (1957–1963), became the Member of Parliament for Lake Centre in 1940, and when that riding was abolished in 1952, represented Prince Albert from 1953 until his death in 1979. William Lyon Mackenzie King 10th Prime Minister, represented Prince Albert from 1926 to 1945. Sir Wilfrid Laurier 7th Prime Minister, represented Prince Albert in the Saskatchewan provisional district (still part of Northwest Territories) in 1896, before returning to his Quebec East riding later that year. Prince Albert experiences a humid continental climate (Köppen: Dfb). The coldest month on average is January with an average low of −23.1 °C (−9.6 °F), and July is the hottest month with an average high of 24.3 °C (75.7 °F). The highest temperature ever recorded in Prince Albert was 39.4 °C (103 °F) on July 19, 1941. The coldest temperature ever recorded was −56.7 °C (−70 °F) on February 1, 1893. Winter lasts five months of the year with January daily means of −17.3 °C (0.9 °F), causing a great temperature amplitude in comparison to the 18.0 °C (64.4 °F) mean temperature of July. The variability of the climate is further demonstrated by the brief transition zones with April recording both above and below 32 °C (90 °F) and −33 °C (−27 °F) respectively. According to the 2011 Canadian Census, the population of Prince Albert is 35,129, a 2.9% increase from 2006. The population density is 534.4 people per square km. The median age is 34.7 years old, which is lower than the national median age at 40.6 years old. There are 14,779 private dwellings with an occupancy rate of 92.3%. According to the 2011 National Household Survey, the median value of a dwelling in Prince Albert is CAN$224,963 which is lower than the national average at CAN$280,552. The median household income (after-taxes) in Prince Albert is CAN$49,421, a bit lower than the national average at CAN$54,089. Prince Albert has one of the highest Aboriginal population ratios for any Canadian city at 41.5%. Most of Prince Albert is either a Christian (74.4%), or affiliates with no religion (23.4%). The remaining 2.2% affiliate with another religion. For residents over the age of 25 years, 82.7% have a high school diploma (or equivalent to), 55.3% have a post-secondary degree, and 17.3% don't have any certificate, diploma or degree. Prince Albert is situated on the banks of the North Saskatchewan River, with rich agricultural land to the south and the boreal forest to the north. Although Prince Albert is centrally located in Saskatchewan, it is the second most northerly city in the province after Meadow Lake. This physical location has led to the creation of the slogan "Gateway to the North". By 1914, Prince Albert had become the terminus of four railway branch lines. However, neither the Hudson Bay and Pacific or the Canadian Northern had started any line to the north. In all, the city had not become the great gateway to north as it had planned. The La Colle Falls hydroelectric power dam under construction in 1916. The La Colle Falls hydroelectric power dam project was an attempt to provide affordable electricity to attract industry By 1927, the project was abandoned as the city was close to bankruptcy. In 1945, Prince Albert National Park was established, and the tourism sector helped to again revive Prince Albert's economy. The city's location has benefited the community in many ways through the years as an agriculture, forestry, tourism, mining, retail, and service centre for the immediate market and the northern communities. Prince Albert has a total trade area of 140,000 people, including an additional 12,000 that can be included if Flin Flon and The Pas are accounted for. The major contributing factor to this is the role of Prince Albert as a retail and service centre to these northern communities. There are a number of major developments that are happening around Prince Albert. Diamond exploration is currently occurring east of the City in the Fort à la Corne region and it is expected a mine may go up around 2010–2011. [needs update] In addition to diamond prospects, Bio-fuels are also playing a significant role to the area. The Prince Albert region is one of the richest areas in the province for agriculture, and with the current emphasis on bio-fuel technology from the provincial and federal governments, it is expected that this economic sector will grow. Uranium is also expected to play a bigger role in the future development of Prince Albert. There is speculation that, due to the proximity the uranium mining in northern Saskatchewan, the area could be ideal for a value-added type of business. Prince Albert is still heavily reliant on its government service sector, which accounts for about 11% of the workforce. There are three prisons, the Prince Albert Correctional Centre, Pine Grove Correctional Centre and the Saskatchewan Federal Penitentiary. Chief Joseph Custer, Kistapinanihk 231, Northern Lights 220, Muskoday 99 and Wahpeton 94B Indian Reserves are within 20 kilometres (12 mi) of the city. The forestry industry is also a major contributor to the economy of Prince Albert. Prince Albert currently hosts the Provincial Forestry Centre, a building that hosts significant wood and forestry related types of businesses and associations. Prince Albert Pulp Company had been the area's largest employer since it opened in 1968. The mill was closed down in 2006 by its then owner, Weyerhaeuser. The mill was subsequently sold. Paper Excellence purchased the long-closed down Prince Albert Pulp Inc. from Domtar in April 2011 with plans to operate a dissolving pulp mill producing 1000 tonnes per day employing about 250 people. The pulp mill was shut down indefinitely and 42 employees laid off on Aug. 29, 2014. There are three historical museums in Prince Albert. The combined The Evolution of Education Museum and Rotary Museum of Police and Corrections are located at the tourist information centre just off of Highway #2 South. The second museum, the Historical Society Museum, is located in an old Fire Hall at the north end of Central Avenue on River Street. The John G. Diefenbaker House is a historic site open to the public and is found on 249 19th Street West. The Prince Albert Heritage Museum (c. 1911) is a Municipal Heritage Property on the Canadian Register of Historic Places. Across from the Historical Society Museum is the site of Diefenbaker's constituency office that is not open to the public. Among the other heritage, historic and protected sites of Prince Albert are the Blockhouse from the 1885 Rebellion & First Presbyterian Church/School, Historic St. Paul's Presbyterian Church, Honeywood (Dr. A.J. Porter) Heritage Nursery, Keyhole Castle, LaColle Falls Hydroelectric Dam, Oldest Downtown Store, Prince Albert Arts Centre and The Cathedral Church of St. Alban the Martyr (Anglican). Sacred Heart Cathedral (Roman Catholic) near the downtown area was built in 1914 in the Romanesque style. It contains paintings by Berthold Imhoff. The Institute for Stained Glass in Canada has documented the stained glass of six buildings in Prince Albert. The St. Louis Light, a commonly visited, supposedly paranormal, phenomenon occurring south of the city. Fort de la Corne, a short distance east from Prince Albert, is the furthest westward post of the French Empire in North America (see New France). The Prince Albert Sanatorium, completed in 1930 and treated tuberculosis patients. The Buckland Wildlife Management Unit, located within 4 km (2.5 mi) of the city. The city is home to the Prince Albert Raiders of the Western Hockey League. The Raiders, who won the Memorial Cup in 1985, play in the 3,571-seat Art Hauser Centre. The city is also home to the Prince Albert Mintos of the Saskatchewan Midget AAA Hockey League. They won the 2006, 2007 and 2014 Telus Cup. They also play in the Art Hauser Centre. Prince Albert is home to the Prince Albert Outlaws Roller Derby League. At present,[when?] only a single road bridge, the Diefenbaker Bridge, connects the north and south shore in Prince Albert; this bridge is also the only river crossing connecting southern and northern Saskatchewan in the immediate vicinity (one needs to drive many miles to the east or west to find another). This has long been a subject of concern in the region, especially in light of a partial closure of the bridge in August 2011 that occurred when cracks were found during an inspection. The bridge has also been closed numerous times since and for extended periods of time, which has raised concerns for many. Grassroots efforts are under way[when?] to lobby for the construction of a second bridge over the North Saskatchewan River within Prince Albert. In 1866, Prince Albert was established as a mission post, and a trail to Fort Carlton arose. This trail connected the growing community to the Carlton Trail, the main land transportation route in Western Canada of the 19th century. The trail followed along the current Lily Plain grid road in Saskatchewan to the ferry service at Lilly Plain post office. By 1906, less than twenty years after the line was completed, it was sold to the Canadian Northern Railway (CNoR). Canadian Northern also crossed the North Saskatchewan River, heading west towards Shellbrook. Prince Albert was slated to become a northern hub for rail service into the north, however with little economic activity in the area, no branch lines were ever extended into the north except for the Paddockwood spur, which was subsequently abandoned during the 1990s as a grain-dependent branch line. Grand Trunk Pacific (GTP) also serviced Prince Albert through a branch line that headed north from Young, through St. Louis and North into Prince Albert. Later both the CNoR and GTP were nationalized, eventually becoming the Canadian National Railway (CN). For years the Canadian Pacific Railway and Canadian National Railway dominated the city of Prince Albert, operating on both sides of 15th Street. The Canadian Pacific Railway branched off at Lanigan moving north up to Hagen, then under trackage rights with CN, and curved towards the northeast end of Prince Albert. This was CPR's principal northern site, with many of the branch lines feeding back to Prince Albert. These branch lines almost entirely served lumber mills and grain elevators as principal commodities. In 1991 CPR decided to shut down rail line operations in Prince Albert and the surrounding area. CPR sold the Meadow Lake line to CN, and abandoned the Meath Park branch up to Choiceland. Many small CN branch lines extended past Prince Albert hauling primarily grain, but proved ineffective due to larger and more accessible grain elevators. As a result, many were abandoned through the 1990s. Lines that have been abandoned include the Paddockwood Spur (CN), CPR to Meath Park, CPR to Lanigan, CN to Shellbrook, and CN to St. Louis. As grain storage and sorting technology improved over the years, a state of the art Inland elevator was built, located north of Prince Albert. This facility was owned by Saskatchewan Wheat Pool, later succeeded by Viterra. The smaller elevator located in the CN yards — owned by United Grain Growers, later acquired by Agricore United which was also succeeded by Viterra — operated in Prince Albert until Viterra announced its cease of operations on April 1, 2008. Today, only the Inland terminal owned by Viterra, located in White Star, continues to operate. In December 1997, CN announced the branch line was up for sale due to lack of productivity. The engines primarily used by CN at the time were GMD1s for short haul and yard shunting, and EMD SD40-2W/EMD SD40-2s for long-haul trips. CP utilized switchers due in part to the light rail on many of their branch lines. These switchers were manufactured by Montreal Locomotive Works (Bombardier) and were designated as RS-23. OmniTRAX, an American shortline railway company, bought the former CN line and named it Carlton Trail Railway (CTRW or CTR). Currently, Carlton Trail Railway resides in the old CN yard, storing tank cars for CN, transporting grain, and refurbishing diesel engines for other OmniTRAX lines. Carlton Trail has recently discussed abandoning several parts of the shortline due to increasing costs and poor track condition. The Railroad bridge in Prince Albert had the ability to turn in on itself to allow ferry ships to pass through. In 2001 CTRW announced the abandonment of the Birch Hills branch line, but the City of Prince Albert intervened, citing the possibility of an ethanol plant. In 2008 Carlton Trail announced the Meadow Lake line would be abandoned by April 1, 2009. Carlton Trail primarily operates EMD GP10s for switching and long-haul transport. Prince Albert is located on SK 2, SK 3, SK 11, SK 55, and SK 302. Prince Albert demarks the change of name for SK 2. The stretch of Highway 2 from Moose Jaw to Prince Albert was designated in 2005 as Veterans Memorial Highway. The renaming coincided with Veterans Week 2005. 176.3 miles (283.7 km) of Saskatchewan Highway 2 contribute to the CanAm Highway between Prince Albert and La Ronge. The CanAm highway south of Prince Albert is designated on SK 3 between Melfort and Prince Albert. SK 11 connects Saskatchewan's three largest cities: Regina, Saskatoon and Prince Albert. On June 20, 2001, the entire length of SK 11 was re-named the Louis Riel Trail at a ceremony which took place at the Duck Lake Regional Interpretive Centre. The Louis Riel Trail connects major sites of the 1885 North-West Rebellion. Prince Albert Transit is the local city bus service with Saskatchewan Transportation Company formerly providing intercity service for passengers and freight throughout Saskatchewan, with connecting service to national bus routes. Glass Field Airport has regular flights to Saskatoon and Regina and serves as an access point to communities and mining operations north of Prince Albert. Anglican Bishop John McLean opened Emmanuel College on November 1, 1879, the first university of the District of Saskatchewan. A federal act later incorporated Emmanuel College into the University of Saskatchewan. Emmanuel College moved to Saskatoon in 1907 to become a part of the provincial University of Saskatchewan, following the inception of Saskatchewan as a province in 1905. The Saskatchewan Rivers School Division operates 33 schools and the Prince Albert Catholic School Division operates nine schools. The city has five high schools. St. Mary High School, and Rivier Academy (private, co-ed) are part of the Prince Albert Catholic School Division, while Carlton Comprehensive High School (largest high school in Saskatchewan), Wesmor (Acronym of the rural elementary schools Wildrose, East Central, Spruce Home, Meath Park, Osborne, and Redwing), and P.A.C.I (Prince Albert Collegiate Institute) are in the Saskatchewan Rivers School Division. École Valois offers preschool to grade 12 and is the only Francophone school in Prince Albert. Post-secondary schools found in Prince Albert used to include the Saskatchewan Institute of Applied Science and Technology (SIAST) Woodland Campus which as of fall 2014 became known as Saskatchewan Polytechnic and has a University-off Campus for both the University of Regina and the University of Saskatchewan. Prince Albert also has the First Nations University of Canada (Northern Campus), Gabriel Dumont Institute, Saskatchewan Indian Institute of Technologies (SIIT), and Saskatchewan Urban Native Teacher Education Program (SUNTEP). ^ Climate data was recorded in the city of Prince Albert from September 1884 to November 1942 and at Prince Albert Airport from December 1942 to present. ^ "Saskatchewan slang". canada.com. Postmedia Network Inc. November 7, 2007. Archived from the original on November 9, 2012. Retrieved December 21, 2013. ^ "2016 Community Profiles". Statistics Canada. Government of Canada. Retrieved 2017-05-31. ^ a b Coneghan, Daria (2006). "Prince Albert". Encyclopedia Saskatchewan. Canadian Plains Research Center, University of Regina. Retrieved March 16, 2008. ^ a b c ""the Voice of the People" Captain Richard Deacon (1850–1935)". Reminiscences of Prince Albert Settlement's Early Citizens pages 81–88. Archived from the original on August 27, 2009. Retrieved May 18, 2009. ^ Russell, E.T. (1975). "What's In A Name?". Saskatoon: Western Producer Prairie Books. ^ Barry, Bill (2003). People Places contemporary Saskatchewan Place Names. Regina, Saskatchewan: People Places Publishing Ltd. ISBN 1-894022-92-0. ^ "Did You Know?". Prince Albert Patriot Website. Archived from the original on March 23, 2006. Retrieved March 12, 2008. ^ Abrams, Gary William David (1976). "Prince Albert: The First Century 1866–1966" (PDF). Saskatoon. p. 7. Archived from the original (PDF) on July 6, 2011. Retrieved December 13, 2010. Nisbet named the new settlement Prince Albert, in honour of the late consort of Queen Victoria. ^ "Metis Culture 1866–1868". Complete History of the Canadian Metis Culture. Retrieved March 12, 2008. ^ "Grand Lodge of Saskatchewan, Kinistino Lodge No. 1". Retrieved May 31, 2008. ^ Adamson, Julia (1925). "Saskatchewan, Canada, Rand McNally 1924 Indexed Pocket Map Tourists' and Shippers' Guide" (Published online 11-Nov-2003). Online Historical Map Digitization Project. Rand McNally. Retrieved May 15, 2009. ^ Adamson, J (September 1, 2005). "Map Info". Saskatchewan Gen Web. Rootsweb. Retrieved 2008-03-16. ^ a b c "A History of Planning and Development in Prince Albert, Saskatchewan" (PDF). City of Prince Albert. 2008. Archived from the original (PDF) on March 27, 2009. Retrieved 2008-03-16. ^ "Diefenbaker, John George". The Canadian Encyclopedia. Historica Foundation of Canada. 2008. Archived from the original on August 23, 2007. Retrieved 2008-03-16. ^ "PARLINFO — Parliamentarian File — Federal Experience — KING, The Right Hon. William Lyon Mackenzie, P.C., O.M., C.M.G., B.A., M.A., A.M., LL.B., PhD". Government of Canada. 2008. Archived from the original on April 6, 2008. Retrieved 2008-03-16. ^ "Prince Albert". The Canadian Encyclopedia. Historica Foundation of Canada. 2008. Archived from the original on August 23, 2007. Retrieved 2008-03-16. ^ a b "Daily Data Report for July 1941". Canadian Climate Data. Environment Canada. Retrieved 26 June 2016. ^ a b "Daily Data Report for February 1893". Canadian Climate Data. Environment Canada. Retrieved 26 June 2016. ^ "Prince Albert A". Canadian Climate Normals 1981–2010. Environment Canada. Retrieved May 14, 2014. ^ "Prince Albert (1884−1942)". Canadian Climate Data. Environment Canada. Retrieved 26 June 2016. ^ "2011 Community Profiles". 2011 Canadian Census. Statistics Canada. July 5, 2013. Retrieved 6 May 2012. ^ "NHS Profile, Prince Albert, CY, Saskatchewan, 2011 (The sum of the ancestries in this table is greater than the total population estimate because a person may report more than one ancestry (ethnic origin) in the National Household Survey.)". 2011. Retrieved 2014-06-14. ^ a b Shillington, C. Howard (1985). Historic Land Trails of Saskatchewan. West Vancouver, BC: Evvard Publications. ISBN 0-9692565-0-7. ^ a b c Brennan, J. William (c. 1981). "Prince Albert, Saskatchewan". In Marsh, James H. The Canadian Encyclopedia. Pat-Z. Edmonton, Alberta: Hurtig Publishers. p. 1474. ISBN 0-88830-269-X. ^ "Saskatchewan Settlement Experience". Saskatchewan Archives Board. 2005. Retrieved March 16, 2008. ^ "prince albert (sic)". Sask Biz. Government of Saskatchewan. Retrieved March 16, 2008. ^ Mel Hinds (October 11, 1968). "Top News Stories-Beginnings and Landmarks (Giant Sask. mill opened) page 50". Regina Leader Post. ^ "Rail traffic faces boost with pulp mill re-opening". paherald.sk.ca. Archived from the original on 2013-09-11. ^ "HistoricPlaces.ca - Recherche". historicplaces.ca. Retrieved January 3, 2017. ^ "Tourism Prince Albert Attractions". 2008. Archived from the original on March 6, 2008. Retrieved 2008-03-16. ^ Margaret Sanche (2006). "Roman Catholic Cathedrals". Canadian Plains Research Center (University of Regina). Encyclopedia of Saskatchewan. Retrieved 15 July 2015. ^ Clark, Keitha (2004–2005). "Prince Albert Patriot Website". David Krahn. Archived from the original on July 6, 2011. Retrieved 2008-03-16. ^ "Official Website of Prince Albert Raiders: Featured Stories". 2008. Archived from the original on March 7, 2008. Retrieved March 16, 2008. ^ "Coupe Telus Cup (All-time champions)" (PDF). Retrieved 2015-05-18. ^ "Crack in girder closes part of P.A. bridge". CBC News. Canadian Broadcasting Corporation. August 30, 2011. Retrieved 2013-01-20. ^ "Build a Second Bridge.com". Archived from the original on March 10, 2013. Retrieved January 20, 2013. ^ "QLSRSC". Archived from the original on September 19, 2008. Retrieved May 25, 2009. ^ "Grand Trunk Pacific". Retrieved 2008-12-26. ^ "Carlton Trail Abandonment" (PDF). Archived from the original (PDF) on 2009-03-27. Retrieved 2008-12-27. ^ "Meadow Lake Track Abandonment". Archived from the original on July 14, 2011. Retrieved 2008-12-27. ^ Government of Saskatchewan. "Highway 2 Designated "Veterans Memorial Highway"". Archived from the original on June 10, 2011. Retrieved July 20, 2007. ^ "Western Canada Group Travel Planner: Getting to Western Canada". 1999–2003. Archived from the original on September 19, 2007. Retrieved February 17, 2008. ^ "Louis Riel Trail — Saskatchewan, Canada". Louis Riel Trail Association. M.R. Internet. 2003. Retrieved December 30, 2007. ^ Clark, Keitha (2004–2005). "Education Capitol". Prince Albert Patriot Website. David Krahn. Archived from the original on July 6, 2011. Retrieved March 16, 2008. ^ "Saskatchewan Rivers School Division". Saskatchewan Rivers School Division. Abrams, Gary W. D. (1966). Prince Albert: The First Century. Modern Press, Saskatoon. Wikimedia Commons has media related to Prince Albert, Saskatchewan.